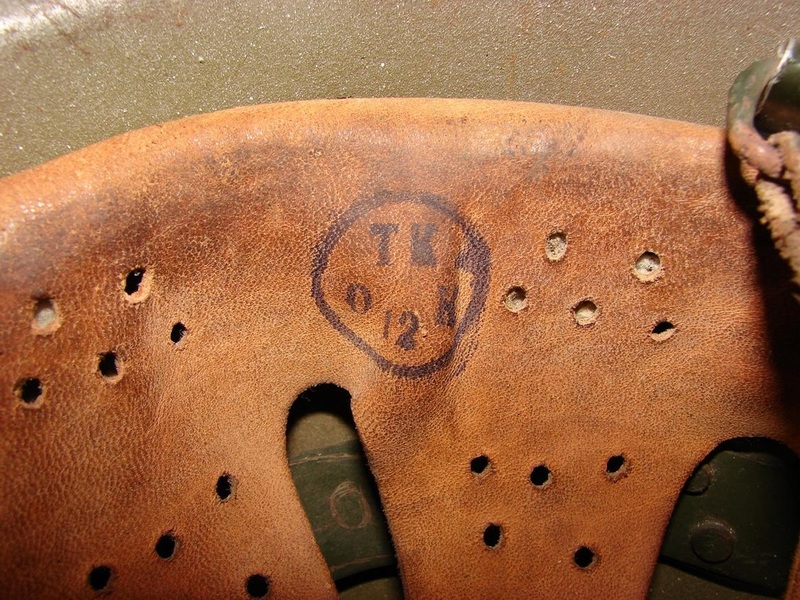 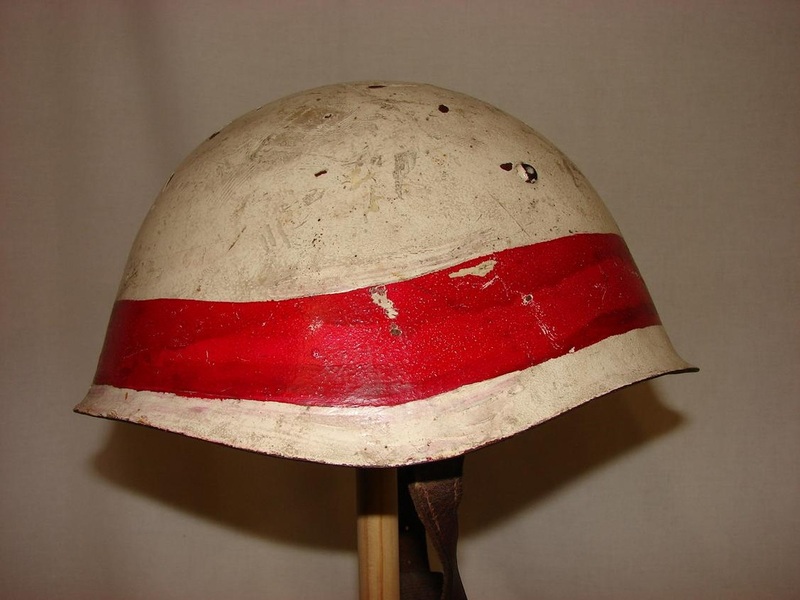 This helmet I believe to be an early Military Police/Traffic Controllers helmet, though not sure on that one. 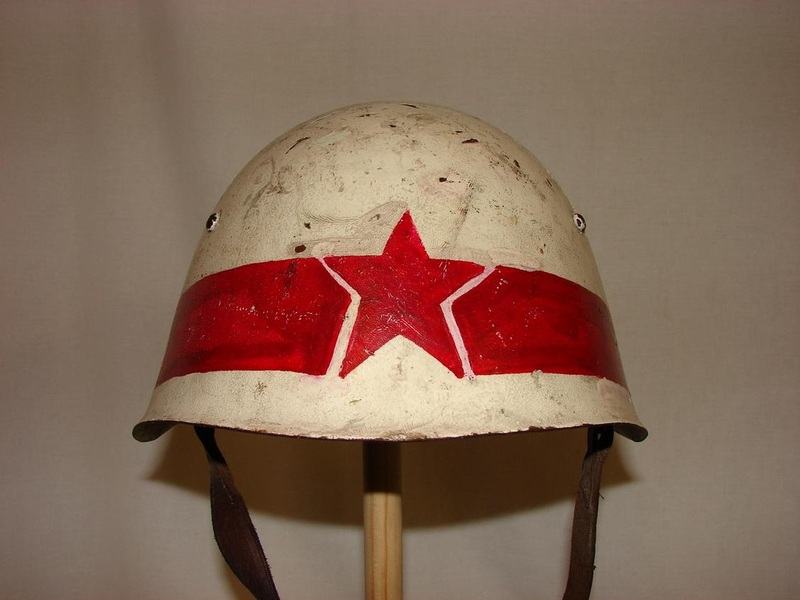 The paint scheme is very similar to that of their Soviet counterparts. 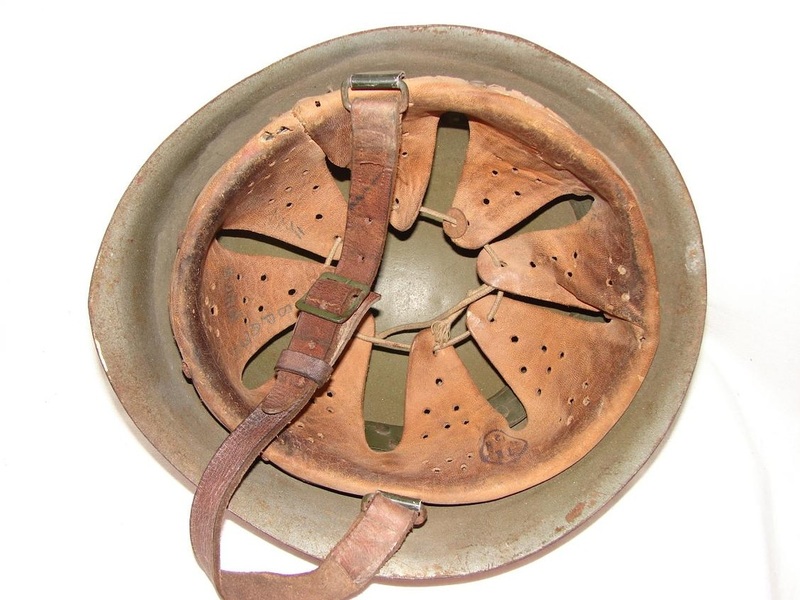 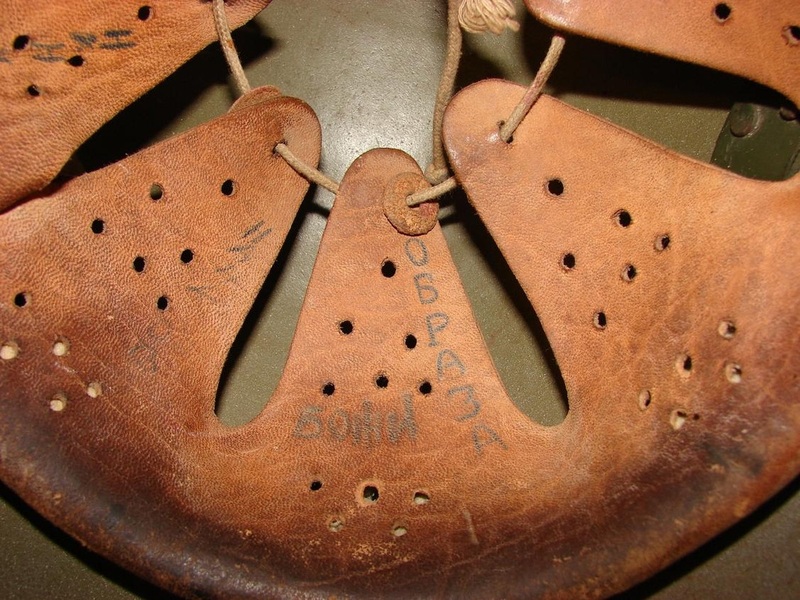 This is the first of the M51's, the liner retaining rivets are small, the chinstrap is riveted and lastly the liner has only 5 ventilation holes per tongue whereas other variations have 11 (including tie string holes). 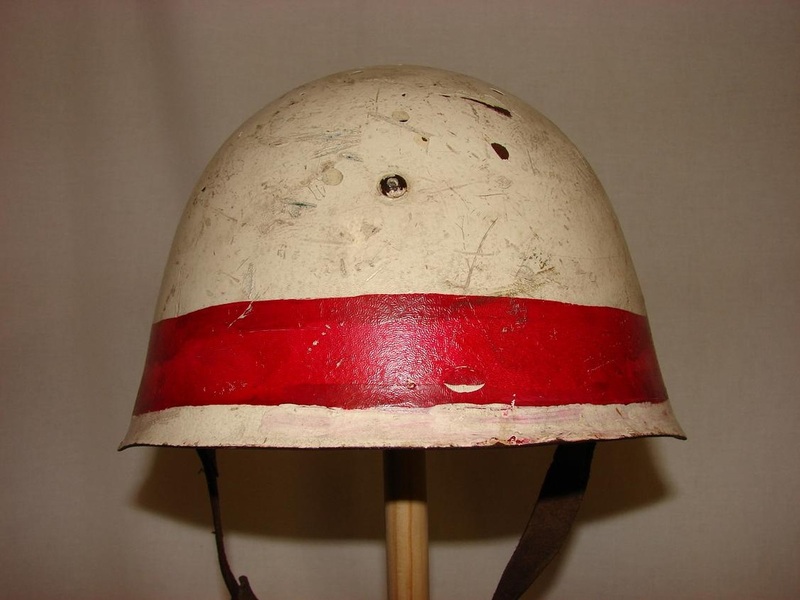 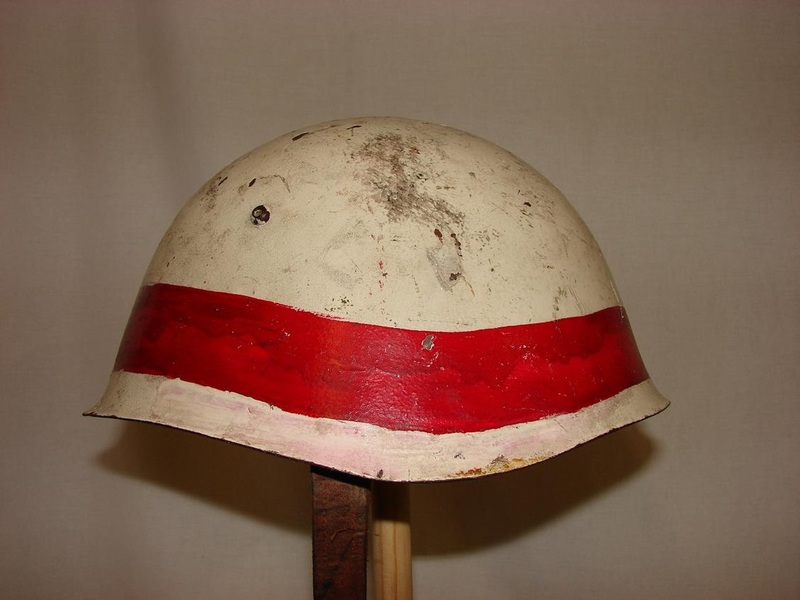 This helmet is a Military Police/Traffic Controllers helmet, painted white on the exterior with National Colours and "P" front and back.